Reporting+™ is a modern clinical workflow and reporting module that sits between your existing RIS and PACS. 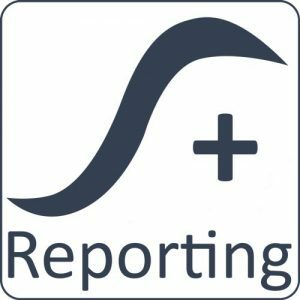 With proven integration into existing applications, Reporting+™ provides Soliton IT’s innovative workflow tools and integrated voice recognition (VR) which results in a more efficient reporting process. This application can also provide real-time workflow monitoring as well as detailed statistics and support for complex workflows. These workflows are configured by the customer – allowing Reporting+™ to adapt as local requirements change without the need for software changes by Soliton IT. The combination of flexible workflow management and embedded, class-leading VR results in Reporting+™ being a powerful tool to increase the volume and quality of clinical reporting in Radiology applications. The embedded VR engines are created by world-leading developer Nuance and are equipped to handle the voice-to-text processing of dictated text into your existing interface. Modern medical contexts and vocabulary are built into the engine to ensure that clinical terminology is recognised and understood quickly and accurately. A unique combination of a workflow structure, embedded speech processing application and a selection of optimised user configurations has resulted in an intuitive solution which brings time and cost-saving advantages to any clinical environment. 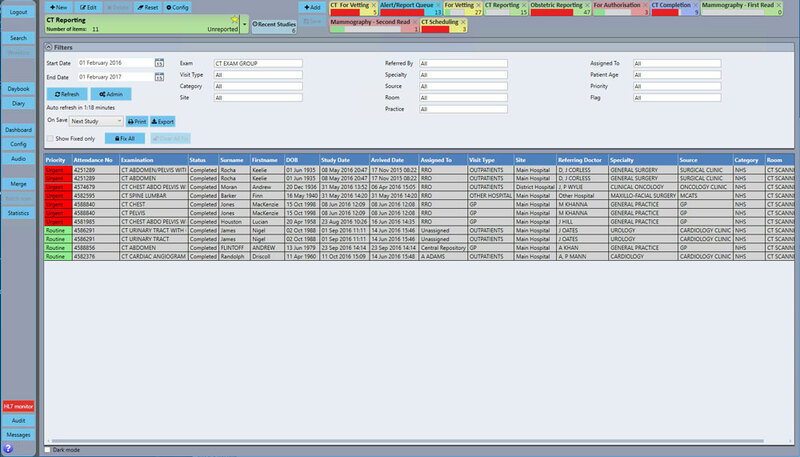 The extent of the workflow options offered by Reporting+ is vast. The reporting workflow is very user configurable which allows departments to adjust their site, department and user configurations as their working practices change – without needing to revert to the supplier for changes. Users find the Reporting+ content-rich interface is concise and easy to use. Live dashboards allow departmental and management overviews of current processes and the advanced statistics feature element provides healthcare sites with interactive graphical analysis to draw customisable reports – calculating and displaying divisional operations and performances. By detaching this workflow element from our platform and connecting it to your existing RIS, a clinical team or department receives the benefits of a modern reporting workflow with fully functioning VR – quickening, streamlining and managing Radiology processes whilst maximising the life of previous HIS investments. Reporting+ is part of the suite of Radiology software solutions offered by Soliton IT and we are proud to be approved supplier on the NHS National Framework. For any questions about our range of systems, please Contact Us. To see our Reporting+ solution in practice at a customer’s site, please visit our Case Studies page.